Driven by her need to understand why she ended up contracting some of the childhood diseases despite being fully vaccinated, Dr. Tetyana has undertaken a thorough investigation of the available knowledge on vaccination and naturally acquired immunity. In Vaccine Illusion, Dr. Tetyana has articulated a science-based view that challenges the mainstream dogma of life-long vaccine immunity. Don't have a Kindle device? 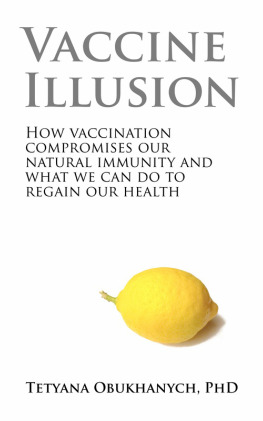 You can still read Vaccine Illusion from your smart phone, tablet or computer. Download free Kindle App for your device.